Turkey is a country known for online censorship and the latest victim of censorship this Saturday was Wikipedia. Turkish users are used to websites being blocked, often on a whim. Social media sites such as Twitter and video streaming site YouTube usually find themselves feeling the brunt of Turkish censorship but on Saturday the internet encyclopedia found itself blocked. 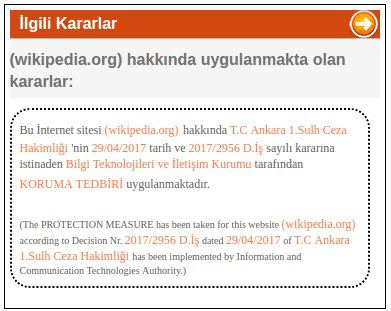 Monitoring site Turkeyblocks.org which reports on inaccessible websites in the country confirmed all language versions of Wikipedia including both the encrypted and unencrypted editions of the website were inaccessible. The block was found to be in effect across all major ISPs including Uydunet, Turkcell and more fixed line and mobile operators. 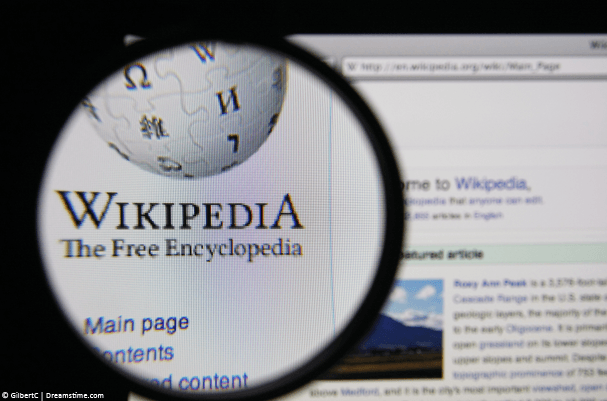 The good news is it’s still possible to access Wikipedia in Turkey with the help of a VPN. Turkish internet users and those travelling in the country interested in accessing Wikipedia and other blocked services will need to make use of a VPN service. A VPN disguises what you do on the internet using encryption and passes it to a location outside of Turkey which is outside the remit of the block. Visit the VPN provider IPVanish and sign-up. Download the Windows or Mac software from their website or their mobile app from your app store. Install, Run and Login when required. Select a country nearby Turkey. Once connected anything you do on the internet is secure and private. The Turkish government nor your ISP will be able to know what websites you’re accessing. This means not only can you access Wikipedia but you’ll also be able to access other blocked websites as and when they’re blocked. IPVanish has over 60 server locations but for the best speeds you should connect to a nearby location such as Cyprus, Greece, Bulgaria, Romania or Moldova. Below is an example video using the Windows desktop client showing you how easy it is to connect. There are other VPN providers who also offer a good service too so if you want to check out a few other options the following three are our recommendations. When blocks are imposed they are firstly done on an administration basis. This means the technical block is implemented first. After such block the legal requirement via a court is imposed. Hours after the technical block was in place the Ankara 1st Criminal Court of Peace approved the administration block making the censorship permanent. Turkish users and those travelling in Turkey now have no other choice but to make use of a VPN service to ensure they can access Wikipedia and a free and uncensored internet. Thank you for the information on how to surf freely. Is it also possible to use the Tor or Pirate Bay browser in countries as Turkey or North-Korea? Yes, it would also be possible to use Tor in Turkey. Although for the novice user the set-up may be out of their reach. Using Tor-browser would be the most user-friendly option. In regard to North Korea there is likely to be no suitable solution as any type of internet access is restricted to within their country only so tunnelling out is impossible. For speed reasons and ease of use we would always recommend a VPN though.